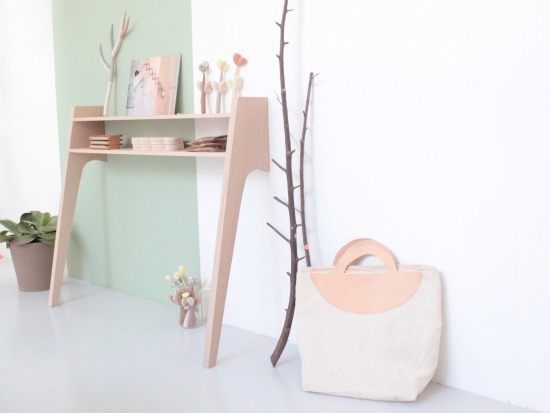 Regular Poppytalk readers will already be acquainted with the inspiring work of French designer Caroline Gomez. A pioneer in the French Slow Design movement, her simple, striking range of ceramics, textiles, furniture and photography is featured regularly in the national and international press. 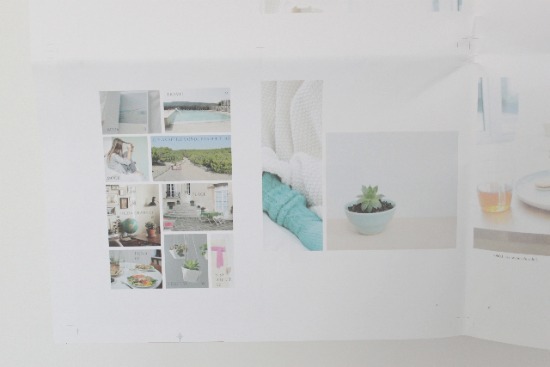 Her blog and shop are fresh and inspiring, and should be in every eco-design lover's bookmarks, in my opinion. 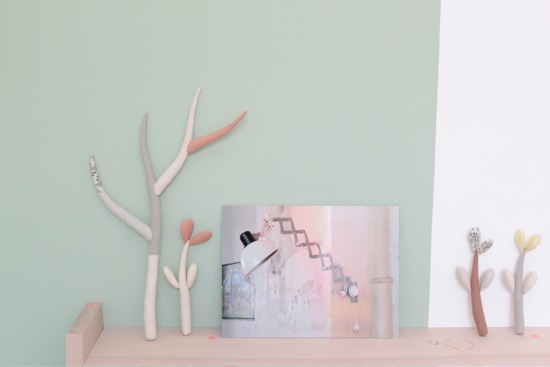 Caroline creates beautiful, functional objects for the home using only natural materials and a soft, soothing colour palette. 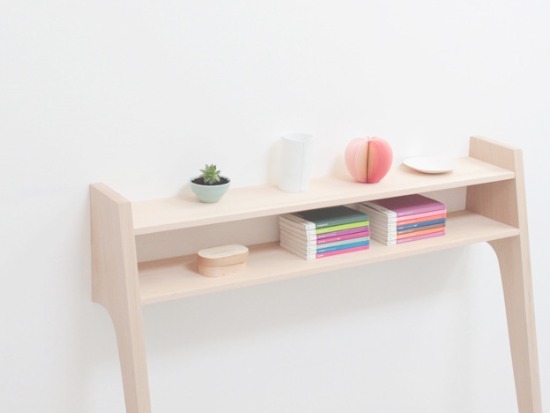 Her designs are clean, modern, poetic and smart. But that's not all, she is also a talented curator and innovator, and it is that aspect of her work that I would like to focus on today. Last weekend (30 - 31st March) Caroline organized a temporary exhibition in her own home in Bordeaux, South West France. She's been doing this for a while now, inviting a handful of like-minded crafter/maker/designers to stage a one-off, gallery-like retail event, two or three times a year. The exhibitions are always popular, attracting people from both the off and online world, and this weekend was no exception. 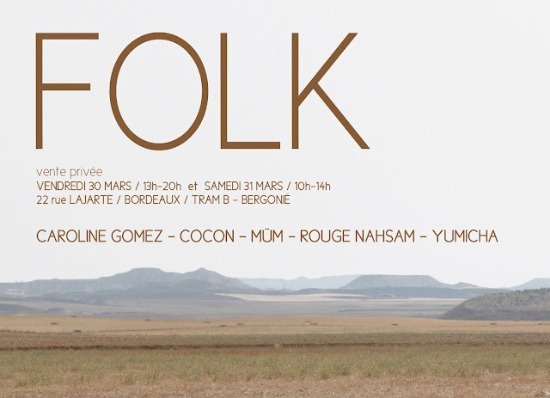 Aiming to offer more than a "pop-up", Caroline always invites her fellow exhibitors / retailers to work on a specific theme, and this time she asked her four "home-store" participants (Cocon, Yumicha, Rouge Nasham and Müm ) to be inspired by "Folk". As you can see, Caroline's light and spacious home was the perfect shopping space, allowing visitors to view the objects in situ, whilst chatting to the makers in a relaxed atmosphere. "Folk" was also the ideal event to pre-launch Caroline's new magazine, Slø, co-designed and published by Sophie Denux (of Toc-Toc-Toc fame). Available on 6th April, Slø will appeal to those who appreciate the here and now, who live in the present and find beauty, peace and contentment in simple, everyday "Slow Life". Caroline Gomez's initiative seems to be part of a growing trend in France. 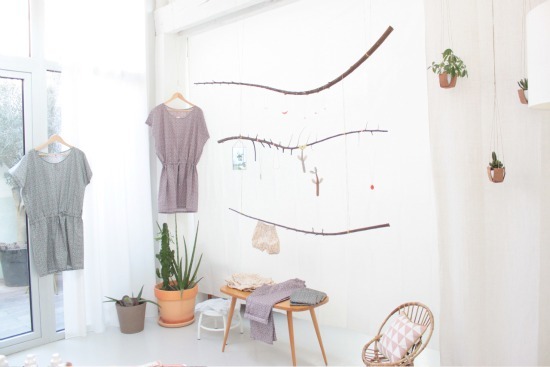 As a newcomer to online retail myself, I think it's something to be encouraged from a human and creative point of view, and hopefully we will see more of these cozy, collective pop-up home-stores in the future. 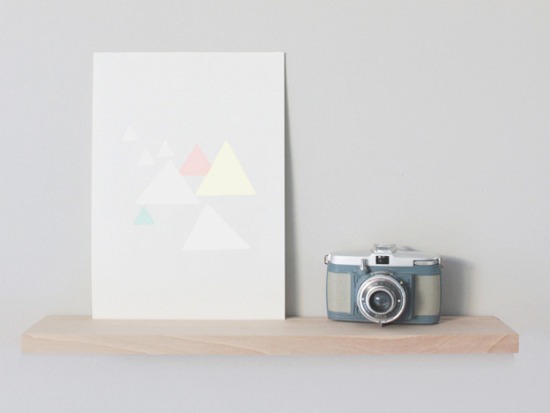 It's a different, more personal and pleasurable kind of shopping experience for buyers and sellers alike, and it reminds me of events such as the long-established Artists' Open Houses in Brighton, in the UK. What do you think? 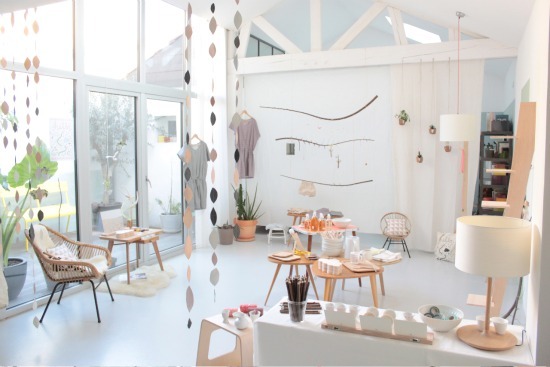 Are temporary home-stores or theme-based pop-up stores in intimate or inspiring locations growing in popularity in your area or country? They tend to be regional in France, and many take place in Paris. Is this something you'd like to see develop in the future or perhaps organize yourself? Is it old news where you live, have people moved onto other things? I'd love to know your thoughts on this one! Virginia, you take part in these open houses don't you? I love this idea and would like to develop something similar near where I live. Britt, I can already imagine your beautiful artwork in a home-store; it would be great if I could just pop over for the event next year. Katerina, yes, the colours are so relaxing, and what an amazing space to hold this type of event! La "Slow life" avec Caroline Gomez, tout un programme... à suivre sans modération !